Nambour is on the move. Be a part of something great. NAMJAM BUSKING COMPETITION IS ON AGAIN AT C-SQUARE! (and be inspired by our Instagram). Click on the highlighted dates to see what exciting events are coming up at C-Square this month. 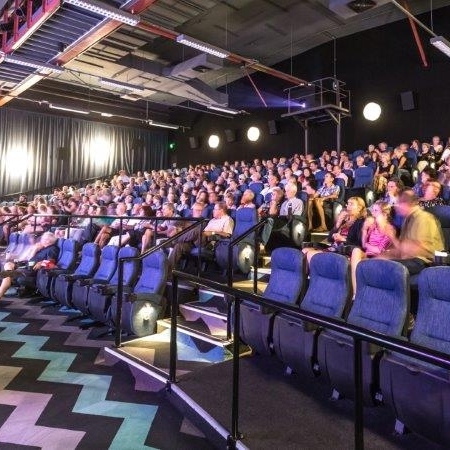 Majestic Cinemas screen the latest in blockbuster and arthouse movies. In 1990, architect James Birrell created a link between the Nambour train station and the township of Nambour – it was called Centenary Square. Consisting of retail and office spaces, a large courtyard, and a pedestrian thoroughfare, Centenary Square became the cultural and economic centre of the town. Changes and challenges in the following years affected the Square, but today, the C-Square space is re-connecting with its users and with the wider community. C-Square is re-emerging as the cultural and commercial centre of Nambour. Real incentives exist for businesses to get in early and play a part in this important change. Nambour and C-Square are on the move. Be a part of something great. Nightlife in Nambour? - Who would have thought! C-Square is rapidly becoming the Sunshine Coast's most exciting new entertainment precinct! 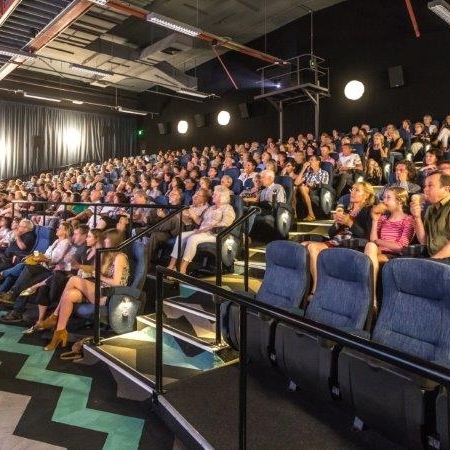 Majestic Cinemas have recently opened in Nambour, ushering in the beginnings of a new era of entertainment in the hinterland. Majestic screen a wide range of movies, from Blockbusters to Arthouse, ensuring that there is something for everyone. Live performances are also held at the Majestic venue, from fine arts to rock bands to community events. Catch up with friends and family at The Bison Bar, Nambour's first cocktail lounge bar. Join them for conversation, cocktails, coffee, and nibbles from afternoon till late, Wednesday through to Sunday, in the C-Square courtyard. With great value parking rates on-site with Secure Parking, and the train and bus station close by, getting home should be easy however you choose to do it!